The BlackBerry has always acted as a high-security fortress for you data with high levels of encryption, making it completely safe and sound from external threats. This is probably why most business users prefer using the BlackBerry phones for communication these days. Now, a German project underway could project Android-based smartphones in a similar light, giving Blackberry makers, Research in Motion, a run for all its worth. 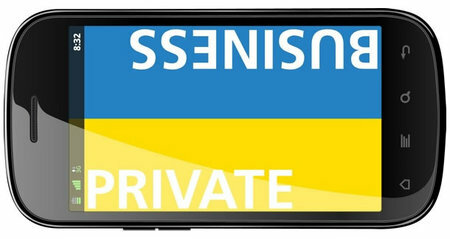 The project called Bizztrust creates a virtual work phone on Android handsets and separates all application into “work” and “personal” partitions. Also, the “work” partition can be controlled by the user’s corporate IT team and updates and deletes applications related to your work automatically. Also, the data for the “work” partition in encrypted and completely safe. With the Bizztrust, RIM who recently suffered a knock on the head due to a data center outside London going offline could indeed face stiff competition from the Android market.